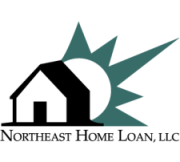 Customer Protection | Northeast Home Loan, LLC. Our company would never request a confirmation of personal information via email such as Social Security numbers, passwords, and account numbers. DO NOT respond to these emails, even if they look legitimate. We already have your information if you are a customer.